Getting career placement usually involves obtaining some type of degree or certificate. For people seeking a career in the trucking industry, obtaining a CDL (commercial driver’s license) is the documentation required to operate a vehicle that weighs 26,000 pounds or more. 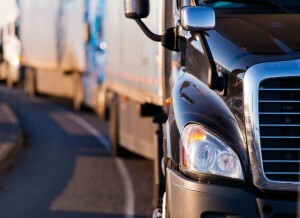 To keep the road safe for truckers and other motorists, the U.S. Department of Transportation has put together a set of rules that fall under the CDL requirements. Starting in 1992, the federal government has required all states to follow the same basic requirements in a test before a driver can be awarded a CDL. All states require a CDL test that includes a 30 question written test. To pass this portion of the test, the applicant has to answer at least 80 percent of the questions correctly. To prepare for these tests, applicants often take practice tests found on many sites online. CDL applicants also must have a clean driving record over the last 10 years; keeping the roadways safe requires strict measures such as this. People who can’t pass a physical will also not be allowed to drive a vehicle weighing 26,000 or more pounds. It’s important to note here that state laws do vary, so you need to check in with the governing authority in your state to see exactly what is going to be required of you to get your CDL. One of the most important aspects of getting a CDL is passing the skills test. After you pass your written test, you will be able to prepare for your skills test. The skills test involves a basic controls test, a vehicle inspection test, and a road test. When you’ve proven your knowledge in all these areas, you will be granted a CDL. You’ll need to check with your state to make sure you know when your CDL expires. In some states, the CDL is valid for four years. You’ll also need to stay up on your Department of Transportation medical card, which proves you’re healthy enough to navigate a large load on the open road. Some department of motor vehicles offices recommend that once you’re of age to obtain a CDL (18 years old), you should take practice permit tests available online as a starting point. However, that’s no substitute for actually studying the official CDL manual, which has all the information you’ll need to pass any CDL written test. Some trucking companies are paying for their recruit drivers to go to truck driving schools where they learn everything they need to know from instructors, including skills tests that get them ready to operate safely on the roadways. Graduating from a school doesn’t mean you automatically get a CDL; that’s something you still need to earn separately. Safe drivers are what we at Spirit Miller Driveaway Services value. We’re looking for qualified individuals to join us and get started on a fruitful career on the road. We offer a variety of schedules, one of which should fit your schedule perfectly. Contact us today and get started on your new career.